anyone got one I' m A mathews user always will untill something comes close IMO I like speed witch my MQ32 don' t have. I was thinking about A bowtech BUT to get it as smooth as A mathews you got to put on all kind of stuff on it from what their site says any thoughts ? if you have one whats your speed HUNTING setup? LOL..... - don' t be a sheep and listen to all the marketing hype. Being smooth has nothing to do with stuff you put on a bow - its in the draw cycle. The black max is as unsmooth, touchy and tough to shoot as any hunting bow out there. Shoot the Bowtech - shoot Hoyt - shoot as many you can shoot - and see for yourself. mathews makes a fine bow - but have you shot others - or do you just read Mathews website?? There are many bows in mathews class - more than a few above it IMO. if you are stuck on mathews go shoot the LX - it is faster than your bow and is a fine shooter. I tend to agree with Rack. By design the Black Max is not what I would call a " smooth bow" ...either in its draw cycle or in the feel of its shot. The LX that Rack mentioned would probably be the closest thing from the Mathews lineup that will give you very respectable speed with minimal noise/vibration. However, if you were to look for the same qualities in a Bowtech then I would probably suggest the Patriot SC. With the sand trap limb pockets and the standard hush kit factory installed you will end up with much the same feel as the LX but with slightly better speed and a larger, more forgiving brace height to boot. I' ve not shot a BMII but I closely inspected and drew one at a local dealer. It was a 70/30 inch which is very close to my actual draw. The draw cycle was compairable to the BowTech Dually Patriot that I own which is a 70/29. The BMII had a sharp build up at the end of the draw cycle, IMO and a sharp drop off to a vrey short valley. I talked to the shop helper who seemed to be very knowledgable, who didn' t have much of a recomendation for the bow. We talked for close to 25 minutes about different things on the bow. In all, the BMII is well made but Mathews IMO, should have camo' d the riser and the roller guard/ string suppressors to make it a more attractive hunting bow which would help it' s sales point. Keep in mind that if you want speed, you' re going to have to work for it, the bow will only store the energy you put in and if you can' t put in the energy, be happy with what speeds you can get with something you can handle. Shoot all the speed bows you can if you need speed and find the one that delivers more than just speed. 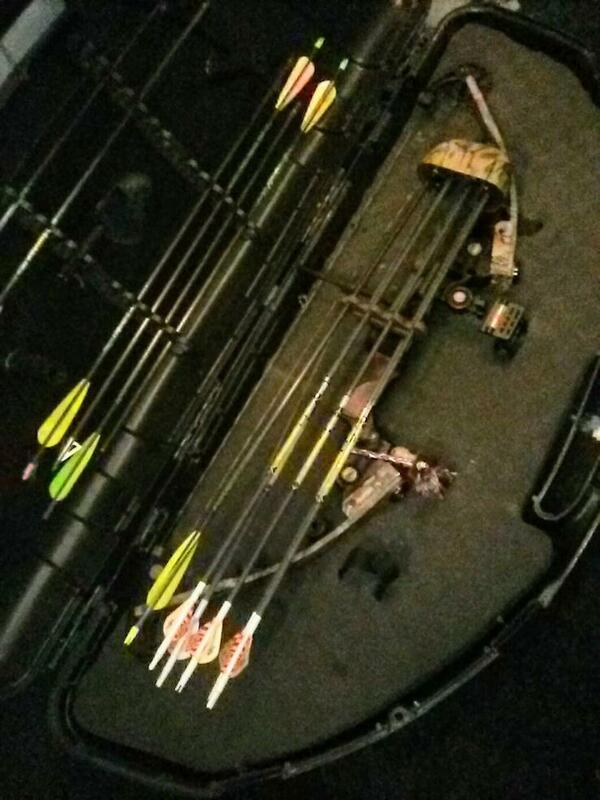 I' m a Mathews guy ........but don' t think the BM2 is a good choice for a hunting bow. I don' t feel like writing a book today or listing why I feel qualified to make this judgement......but if you want a Mathews with more speed......get a LX. You' ll pick up about 25 fps on a bow set up for hunting. The LX is heavier and probably has a little more shot noise and vibration than a set up 32 (not much though !!!) ......but it is steadier, rock solid backwall, and has a smoother draw. Don' t sell Bowtech short......they make a nice bow (especially if you like speed) !! I' ve got a friend with a BM2. Shooting it against my jennings is like night and day. we both bust lifesavers at 25 and 30 yards, but his is much faster and flatter and quieter. we shoot the same length and weight arrows but his is about 40-45 fps faster. This is with 68lbs 29" settings on both, muzzy zero effect rests, and 27" Goldtips with 100gr. fieldtips. His is so much flatter that I shoot a Cosmic trio and he can shoot with a single pin cosmic. anyone have the mathews website? Nothing like a Mathews bow.